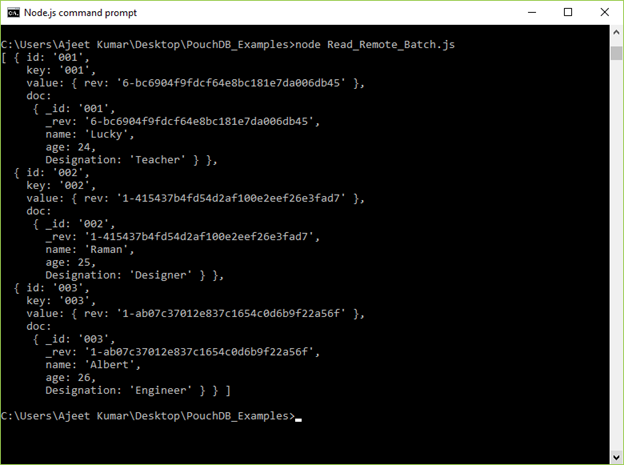 In PouchDB, the allDocs() method is used to read or retrieve multiple or bulk documents from a database . This method accepts an optional callback function. 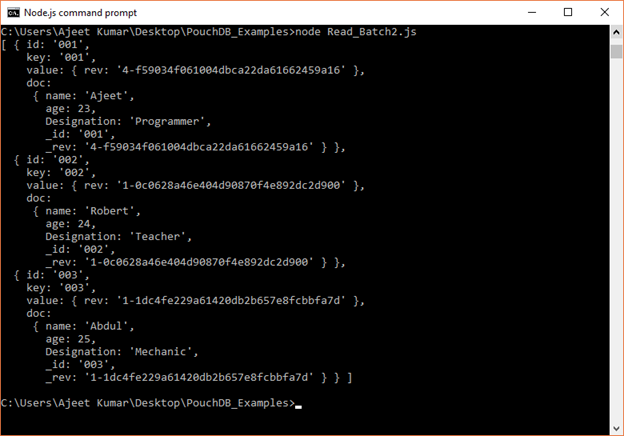 Let's take an example to retrieve all the documents from a database named "Second_Database" stored in PouchDB server by using db.allDocs() method. This method retrieves the batch in the form of objects. Generally, by using allDocs() method you can see only the _id, key and _rev fields of each document. If you want to see the whole document in the result, you have to make the optional parameter include_docs true. 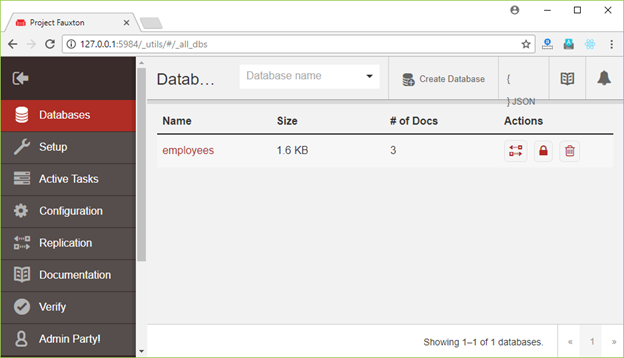 You can read a batch from a database which is stored remotely on CouchDB Server. For this, you have to pass the path of the database where you want to read the batch. 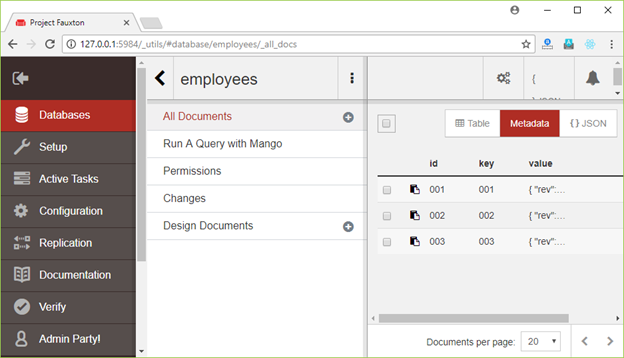 Let's read all the documents from the "employees" database stored on CouchDB Server.